You need to have a few teams set up, and you can read about how to create team here. There are two ways in which you can manage team members and managers. From the left sidebar select the team that you want to manage. You can also use Search bar to search within the listed teams. 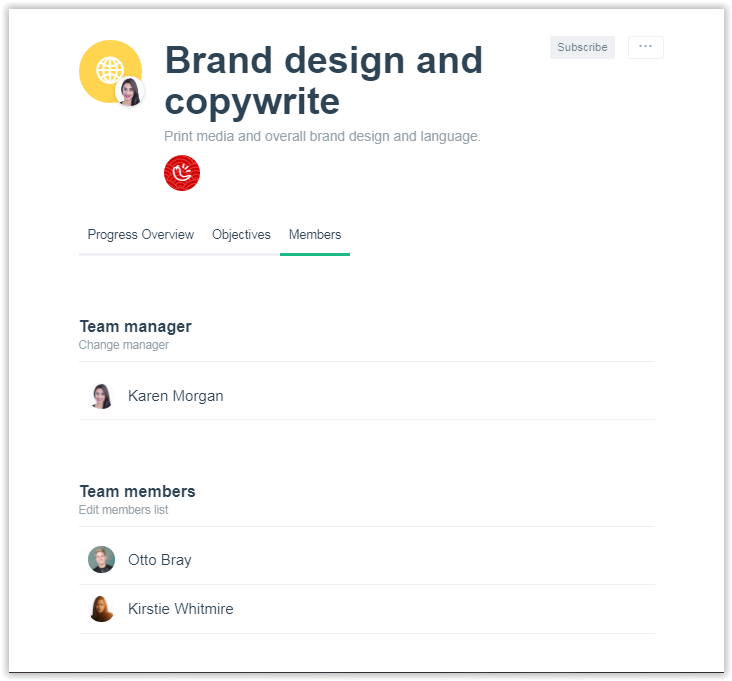 In this screen, you have all your teams on the left side and all employees on the right. 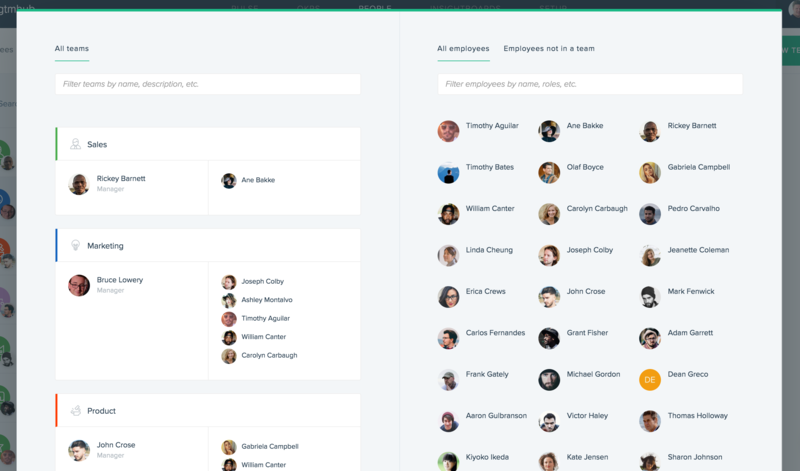 You can simply drag and drop people from left to right to quickly set up your org chart.